Published by almostaghost on December 7, 2011 in almostaghost and review. 0 Comments Tags: 2011, 2011 countdown, Boise, Idaho, Youth Lagoon. Youth Lagoon is a one-man project, by a 22-year-old from Boise, Idaho named Trevor Powers, who recorded The Year Of Hibernation, his debut album, in his room. * As is to be expected from a 22-year-old songwriter, the songs are sparse confrontations with himself. They are nostalgiac, as one tends to be at that age, and a little bit odd, full of worries and dreams. Musically, Youth Lagoon’s songs all follow a similar pattern. The opening track, “Posters” provides a good template: a minimal/ambient intro leads to some distant echoed vocals, some bass gets added, then some drums, before a kick into a fuller more dynamic ending. The songs building in this way by accumulating moments give the album dynamics, as there are a lot of riffs and moments to eagerly await just around the corner. This review sort of ended up short, a bunch of incoherent thoughts. Looking much closer at Powers’ words felt unnecessary. He’s hardly a Bob Dylan, and most of the words are semi-incomprehensible anyway. He sings of posters on walls (a youthful way of defining ones’ self), simple metaphors for worry (monsters and demons and snakes), and advice from his mother. It does build a mood, a pretty amazing one, but a turn of phrase isn’t his strongest skill. Still, though, it feels to me like Youth Lagoon will get there. I find it remarkable that the sound of this album was created in a bedroom; it sounds full and complete, the only hint at its lo-fi nature is the occasional drum machine. In the end, some of these songs resonate, perhaps deeply, and that’s entirely a product of the consistent feel Powers established throughout. I really look forward to hearing where he goes from here; that promise is why it’s one of my top albums of the year. 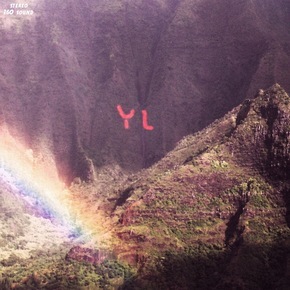 *That’s all the facts I know about Youth Lagoon in one sentence.